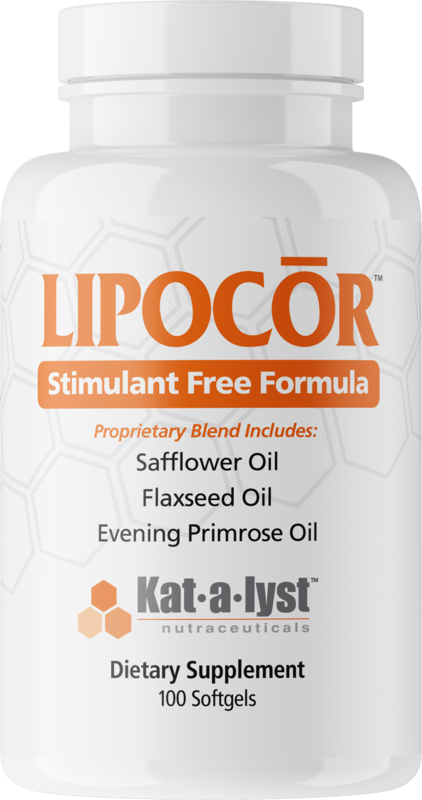 LIPOCOR™ is a stimulant-free, comprehensive, lipotropic formula containing a blend of essential and non-essential omega 3, 6 and 9 phospholipids in addition to CLA and other sought-after lipotropic compounds. And since it’s stimulant-free, many stack LIPOCOR™ with their favorite stimulant based, thermogenic or pre-workout formula for even greater results! 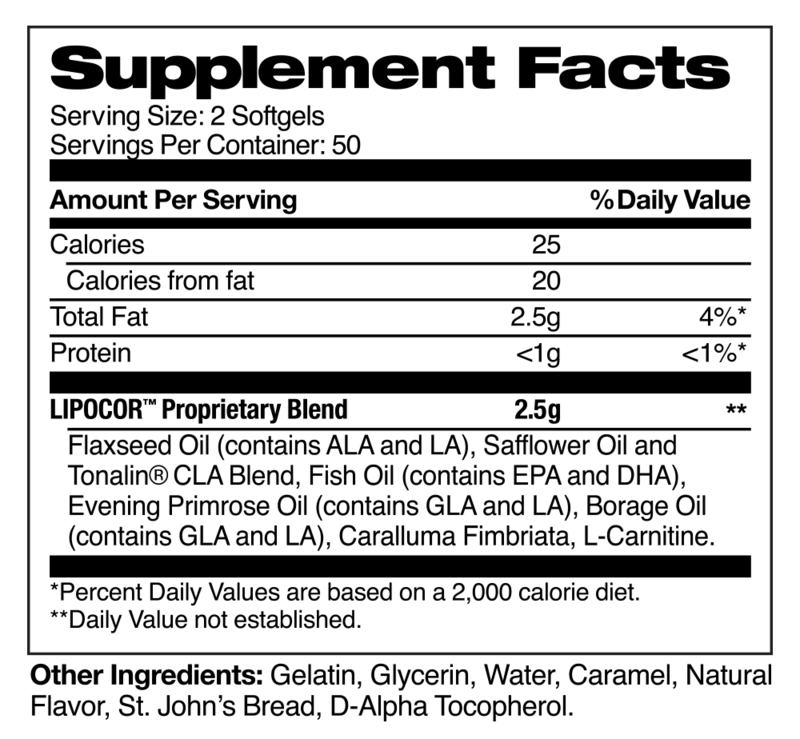 SUGGESTED USE: As an adult dietary supplement, take 2 softgels with meals. ALLERGY INFORMATION: Contains fish (Anchovy and Sardine). Manufactured in a facility that processes milk, eggs, fish, shellfish, tree nuts, wheat and soy.